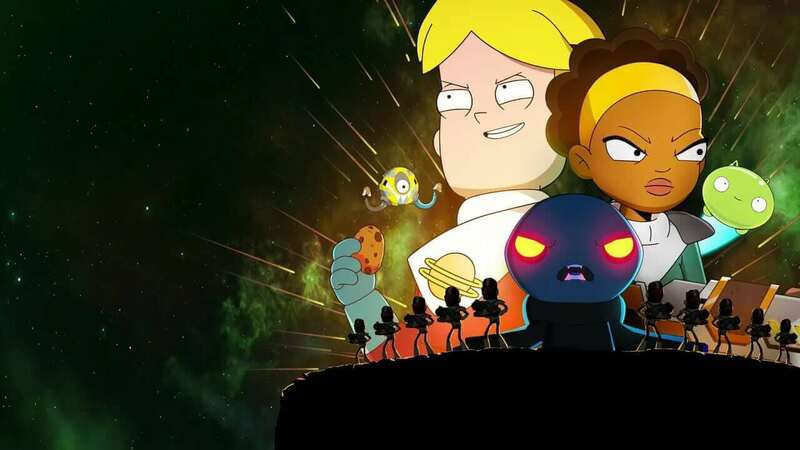 Netflix has landed the international rights to the animated sitcom Final Space and season 1 is now streaming across Netflix with a few exceptions. Wondering what the show is about, whether the United States will also get the series or news about season 2? Then we’ve got all the details below. The show draws obvious comparisons to AdultSwim’s Rick and Morty and why wouldn’t TBS capitalize on the current craze. It features a star-studded cast with David Tennant, Fred Armisen, John DiMaggio, Steven Yeun and Tika Sumpter all lending their voices. The story is about a human prisoner who meets an adorable alien and they subsequently go on interstellar adventures. What regions is Final Space available on Netflix? The big standout regions include the United Kingdom, Australia, and Canada. Other countries include Brazil and Thailand but as always, check your local listings. This isn’t the first major animated sitcom Netflix has secured the rights to. For season 3 of Rick and Morty, Netflix became the exclusive home in regions such as the United Kingdom, Australia, and Canada. Will Final Space come to Netflix US? At the moment, we’re not 100% sure whether or not Final Space will be coming to Netflix in the United States. A streaming home has yet to be announced but the obvious choice, Hulu isn’t currently carrying the show. Hulu is the home to most TBS shows so this could indicate that Netflix or Amazon are in the runnings for grabbing season 1 too. As with other shows that release on Netflix in the US with it airing first on another network, we’d expect it to land on Netflix just before the new season arrives to serve as a promotion. When will season 2 of Final Space be on Netflix? Season 2 has already been announced but there’s a little wait until it releases. It’s expected that season 2 will air on TBS in 2019 at some point. We don’t know whether Netflix regions with the international rights will air weekly or afterward. We’ll know closer to the time. Once you’re done with Final Space, check out some of Netflix’s other big animated shows such as Bojack Horseman, F is for Family or a myriad of kids animated shows.